If you’re like most people, you like to treat yourself every now and then. Whether it’s new shoes, cooler than necessary workout gear, or just a special coffee or cocktail one day a week, you’ve got a little room in the budget. So why not put it toward something that’ll go further — like your smile? Visiting a trusted cosmetic dentist near Yucaipa can help you enjoy the lasting benefits of beautiful teeth. Keep reading to find out all that you have to gain from cosmetic dentistry. As you age, your teeth start to show the evidence of the years past through through stains and discoloration or chips and breaks in the enamel (or all of the above). Services in cosmetic dentistry can help turn back the clock, allowing you to enjoy a youthful, radiant smile once again — or for the very first time. Taking the time to improve the appearance of your smile can change your life more than you’d probably think. The benefits of beautiful teeth are many, from improved self-confidence to better oral health. People who are proud of the way their teeth look are more likely to take better care of them. One study even showed that people who had attractive smiles were more likely to be perceived as friendly and successful at work. Porcelain veneers cover up the entire tooth structure with a sturdy, customized shell. Dental porcelain is natural-looking and highly customizable for precise results. Direct bonding is a procedure in which your cosmetic dentist uses composite resin to rebuild missing or damaged tooth structure. Professional teeth whitening removes stains on the surface of and right below the tooth enamel. Crown lengthening reveals healthy white tooth enamel for patients who have too much gum tissue covering up their teeth. To learn more about your options in cosmetic dentistry, take some time to find a trusted cosmetic dentist in your area. As more and more general dentists are adding cosmetic services to their list, finding the best one for you can take some time. 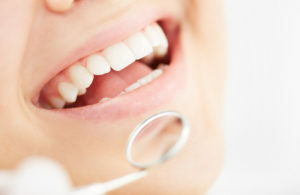 Keep some of these tips in mind to help you make an informed decision that’s in the best interest of your smile health. The cosmetic dentist that’s right for you should be friendly, open, and eager to help you enjoy all the benefits of a healthy, radiant smile! Dr. Scott Parker is known for providing high quality cosmetic dentistry to reveal beautiful smiles in Calimesa. He works closely with each patient, creating personalized treatment plans for natural-looking results. To learn more about Dr. Parker’s cosmetic offerings or to schedule an appointment, you are invited to contact the office at (909) 795-6019.